When you have strong leadership skills, you can show other team members the way to a more successful business. 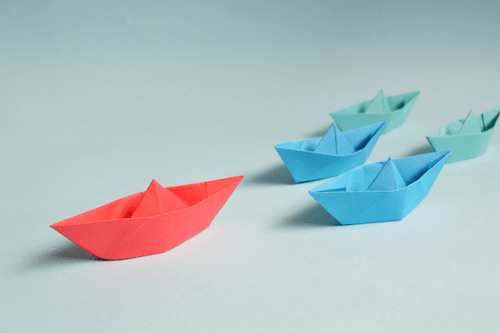 While natural leaders do exist, it is also incredibly possible to learn leadership skills, put them into practice and grow your leadership capabilities. And of course, the more you grow in your leadership skills, the more others around you can grow and impact the business. If you’re not sure where to start, we have you covered. Here are the top tips for becoming a better leader. First and foremost, the best way to become a better leader is to lead by example. If you want other employees to do something, say something or behave a certain way, then you should be the first to do so yourself. Serve as the best role model you can be. Transformational leaders are those who exemplify the behaviors and characteristics they encourage among their followers. In other words, they talk the talk and walk the walk. As a result, other employees and subordinates will see your example and be inspired to put in the same amount of effort. Great leaders know they don’t have all the answers. They also can’t make every decision perfectly all of the time. So, instead of being overly confident and prideful, they humble themselves and ask those around them for feedback. If you’re in a leadership position—or even if you’re not—ask other employees for feedback on what you can improve upon. Not only will it make others feel valued, but it will also show them that you truly care about your work and want to do the best job possible. If you want to be a leader worth following, be sure to allow for creativity among your team members. As business professionals, we strive to create a system for everything. This can be a very valuable time-saver, but it can also stifle creativity at times. Instead, create a system for things in business, while also encouraging creativity and new ideas from employees. Effective leaders offer challenges to their group members and support them in accomplishing their goals, which fosters an environment for heightened creativity and bright ideas. 4. Be the first to take responsibility. As a leader, you should be the first to step up to the plate and take responsibility when things don’t go well. True leaders don’t blame others for their problems; instead, they take the responsibility for a situation and seek to find a solution. If you want to be a great leader, seek out areas where you can take responsibility. Instead of shying away from challenging or even uncomfortable situations, strengthen your leadership skills by taking responsibility for your actions and searching for a solution. 5. … And the last to take credit. On the flip side of this coin, great leaders are also the last to take credit. They humbly accept recognition when given, but know that true recognition is in the hard work they do for their team members. Whenever credit is given, great leaders are those who recognize others above themselves, and accept credit last. Be authentic and true in the work you produce, gracious in the awards you receive and humble in the credit given. Whenever possible, strive to serve and exalt the team before yourself, and see how your leadership skills grow. Leadership is an extremely valuable trait to have in the business community, but it doesn’t happen overnight. Instead, true leadership skills are fostered through practice, challenges and growth. If you want to become a better leader, take advantage of these top tips to see how you can strengthen your leadership skills and grow the business.